If you ask a girl what her favourite colour is, most will answer pink, after all, pink is the colour of love. For many women, loving the colour pink continues long after childhood, there is something about this hue that depicts romance, femininity and prettiness like no other. 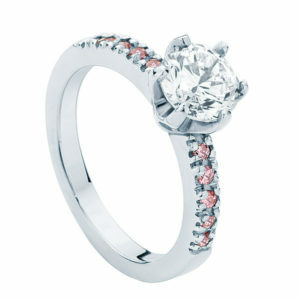 So it is no surprise that a pink gemstone or rose gold engagement ring is one of our most popular requests today. 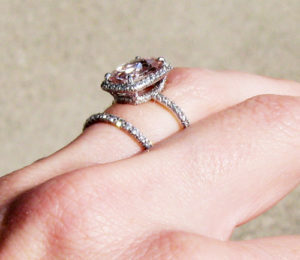 For those who love fairy tales and happily-ever-afters, a pink engagement ring might just be the perfect match for you. Pink engagement rings can be as soft and subtle or as bold and brilliant as you wish. Add just a hint of pink or choose an engagement ring with a pink gemstone set in pink gold. 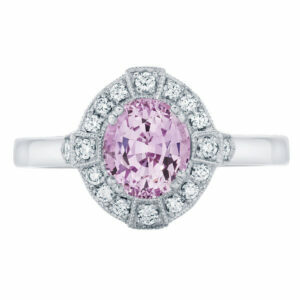 The most popular pink gemstones for engagement rings are pink diamonds and pink sapphires. 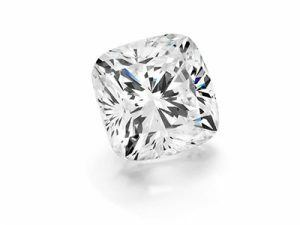 Pink diamonds, particularly large ones, come with a price tag that makes them unattainable for most. Pink sapphires and morganite make exquisite, more affordable, alternatives. 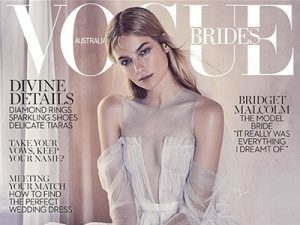 One of our favourite pink engagement rings which also inspires women across the world is Blake Lively’s pink diamond and rose gold engagement ring. Lively’s centre stone is a stunning pale pink oval diamond set into a fine rose gold band encrusted with small white diamonds. The effect is elegant and beautiful. 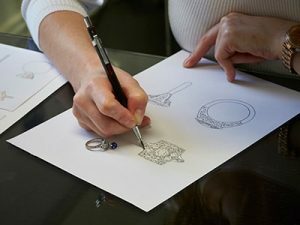 Other celebrities who have, or have had, stunning pink engagement rings are Mariah Carey, Cameron Diaz, Jennifer Lopez, Katie Holmes, Leighton Meester, Anna Kournikova and for those that love fuchsia pink, you will love the sapphire ring Nicole Richie once wore and Ashlee Simpson’s unique vintage inspired ring. Larsen Jewellery’s beautiful ‘Rose Amore’, set with your choice of pink sapphires or pink diamonds. Ashlee Simpson’s unique vintage inspired rose gold and Pink sapphire ring. Larsen Jewellery’s ‘Rosetta Brilliant’ in rose gold. Jessica Lowndes stunning pink engagement ring. 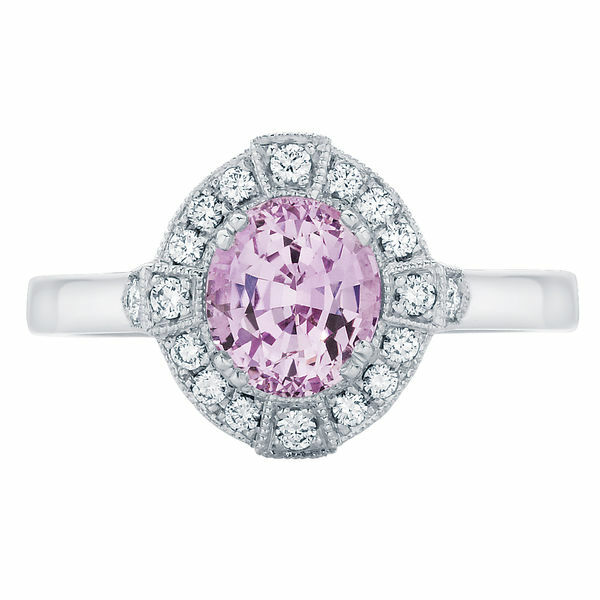 Larsen Jewellery’s ‘Belle’ pink sapphire engagement ring.